Mix and match these one of the 18 brilliant metallic shades to achieve stunning eyes in seconds with the PAC Eye Shadow (Big) 17. Pop your favorite shades into one of our magnetized custom shadow pro magnetic pallets for a totally personalized eye shadow experience. It has a pure pigmented colourful payoff available in a variety of shades. Additional Information : PAC Cosmetics is a professional makeup artist brand with an aim at bringing the highest quality, innovative cosmetic products to all makeup lovers and professional artists. The brand is known for their wide range of trendy makeup products, tools, brushes and accessories. 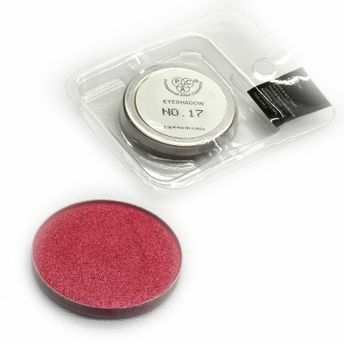 Try PAC Eye Shadow (Big) 17 now! Explore more from our Eye Shadow collection here. Explore the entire range of Eye Shadow available on Nykaa. Shop more PAC products here.You can browse through the complete world of PAC Eye Shadow .Alternatively, you can also find many more products from the PAC Eye Shadow (Big) range.